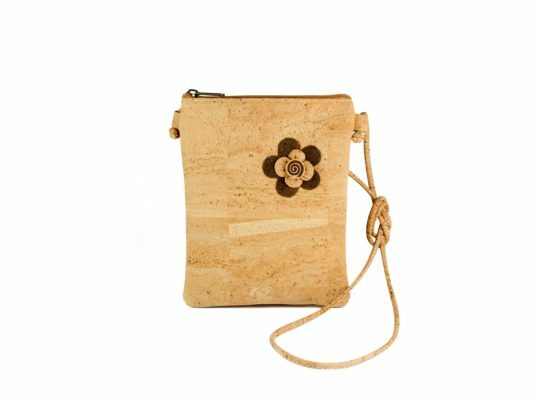 An elegant rectangular cork female bag. The size is 17 * 21 cm. It has one long strap. It is worn over the shoulder or on one shoulder. The front side is decorated with a bulky flower of brown color. 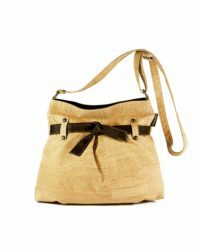 The bag is light, water resistant and easy to clean with warm water and soap.